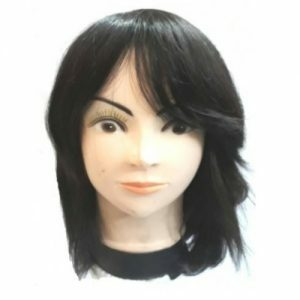 We are a huge hair products retailer of women synthetic hair wigs in India. You can get your favorite synthetic Hair Wigs at a reasonable price from www.avaniindustries.in. We are the largest supplier of new innovative, fashionable synthetic hair wigs, Special Wigs. Synthetic Hair has advantages & limitations which make them the right choice at different times. With technical advances, synthetic hair has come a long way in recent years. In some cases, it is difficult to tell the difference between synthetic and human hair — the density and quality are such that they look almost like human hair. As a matter of fact, with some of the high-quality synthetic pieces, you never know that they are not natural human hair, Both human hair wigs and synthetic hair wigs are great choices for you depending on your budget, time, and needs. Synthetic Hair Wigs need less maintenance according to human hair wigs & therefore require less energy to style and care for & this allows you to save your energy. When you wash the synthetic hair wigs, it will return to their original style after air drying, while human hair wigs will need straightening or curling after washing & drying. Human hair wigs also require deep conditioning, washing and re-styling frequently just like your real hair. The most appealing aspect of synthetic hair is that one can often wear it out of the box with little or no shaping. We use fibre in making wavy and curly synthetic hair wigs. It has the volume which gives hair bounce back into place with nominal effort — the curl shape is eternally set. It can even hold up in bad climate and can assure of no drooping or frizzing. The limited changeability of synthetic hair becomes less reflected when you consider the affordability. You may choose to have a wide variety of styles in hand and ready to wear.